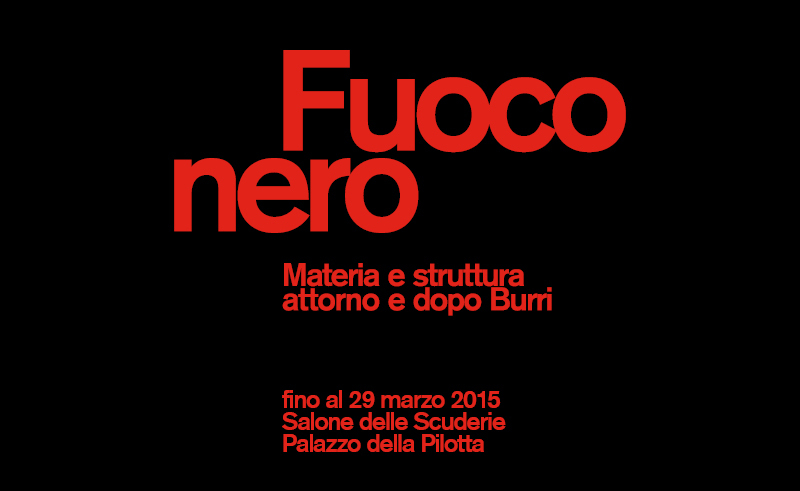 Exhibition: ” Fuoco nero: materia e struttura attorno e dopo Burri” (Black Fire: matter and structure around and after Burri). The exhibition is curated by Arturo Carlo Quintavalle. It will show more than seventy paintings and many photographs and even a group of graphic works for a total of 172 works all reproduced in a catalog published by Skira. Where: Salone delle Scuderie in Pilotta (Parma). The exhibition will be open from December 13, 2014 to March 29, 2015 (extended until April 6). Hours: Daily from 10 to 18. Closed Mondays. Free admission.